The hotel is provided with special agreements with Bike & Sport Hotels, and offers cyclists qualified repair shop and technical assistance, as well as detailed informative material on fascinating cycle itineraries across the hinterland and hills of Emilia-Romagna and the Marches which will be delivered together with technical t-shirts upon their arrival. 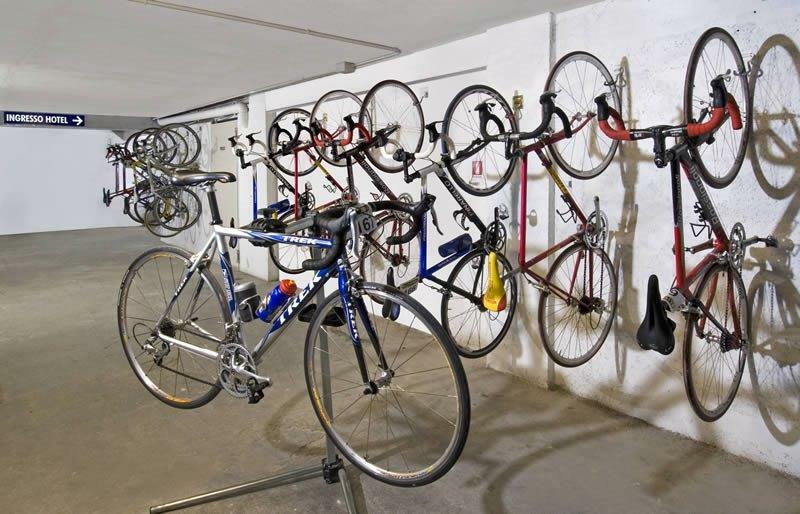 Cyclists can take advantage of free repair shop and bike shed, dedicated laundry service for technical sportswear and targeted menus upon request. In our Region of Marches, The “Bike & Sports Hotels” offers, together with the most traditional qualities of hospitality, a particulare care towards bicycle’s enthusiasts. Attentive to the needs of the most demanding cyclists, we are organized to be able to offer them pleasant stay with a wide choice of customer care - made services.